It formed part of the contents of Kirkton House, a Regency manse near Montrose, restored to its former glory by the owners to house an array of British art and design of the late 19th and early 20th centuries. Many of the works had been purchased from leading dealers in London. 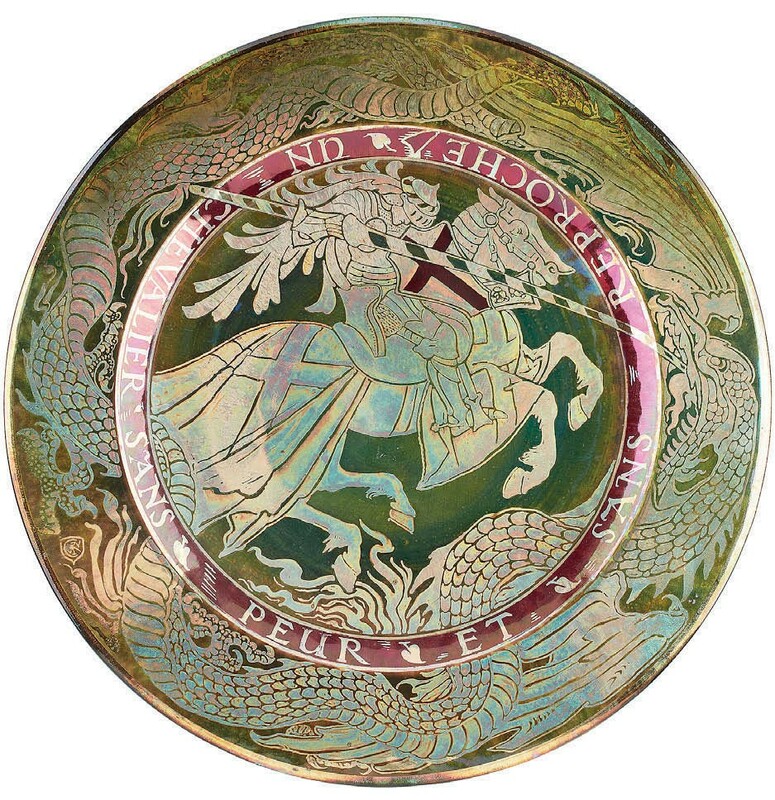 A 19in (48cm) George and the Dragon charger to a Walter Crane design decorated with the legend Un Chevalier Sans Peur et Sans Reproche was part of the John Scott collection dispersed by The Fine Art Society in 2014. Previously it had sold at the Richard Dennis exhibition held in 1980 to accompany the publication of Anthony Cross’ factory monograph Pilkington’s Royal Lancastrian Pottery and Tiles. As well as a full set of impressed factory marks it has painted cyphers for the date 1910 and the decorator Richard Joyce. One of these celebrated plaques, produced in Salford in a number of vibrant colourways to a Walter Crane design, was sold by Woolley & Wallis in November 2005: that example in red, gold and cream, bought for £500 at the Dennis exhibition in 1980, took £18,000. Last week at L&T, this example in green and red sold at £32,000 (estimate £10,000-15,000). 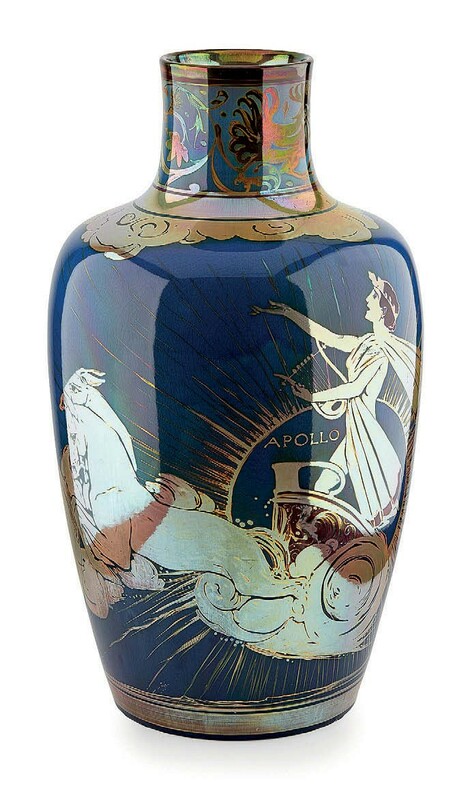 Another major piece in the Kirkton House collection – this time with a provenance to the Harriman Judd collection sold by Sotheby’s New York in 2001 – was a monumental vase, dated 1909, decorated with the figure of Apollo riding a chariot pulled by six horses through the clouds. At 22in (54cm) high, it is one of the largest pieces ever produced by the Salford factory and carries the cypher of the Scottish ceramics designer Gordon Forsyth (1879- 1952), the former art director of the Minton Hollins tileworks who later would tutor both Clarice Cliff and Susie Cooper. At Harriman Judd it sold at $7800. Here it took a mighty £34,000 (estimate £4000- 6000) – a new factory record. Both pieces sold to the same US buyer.